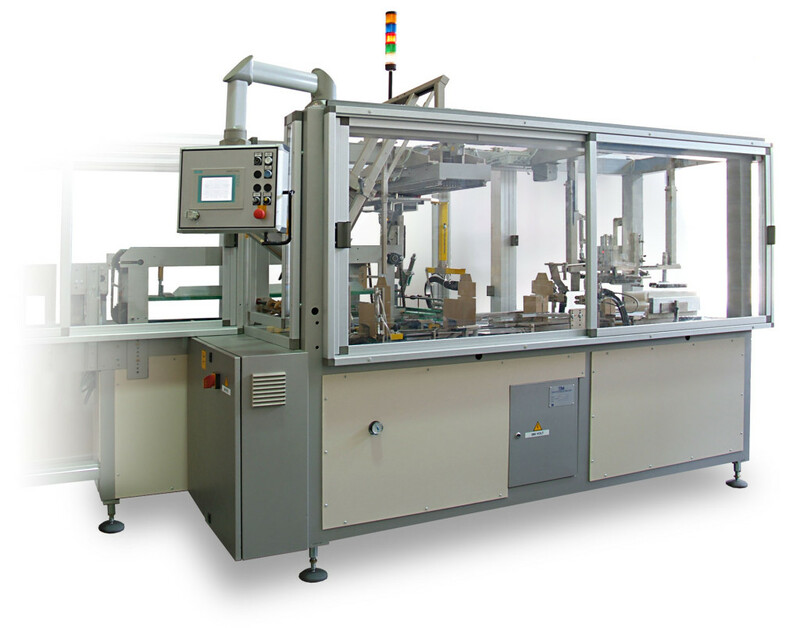 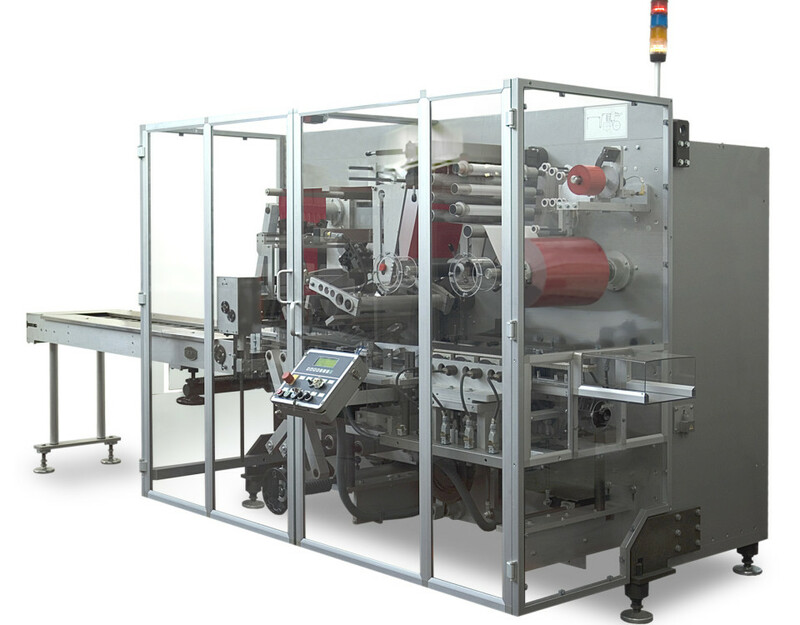 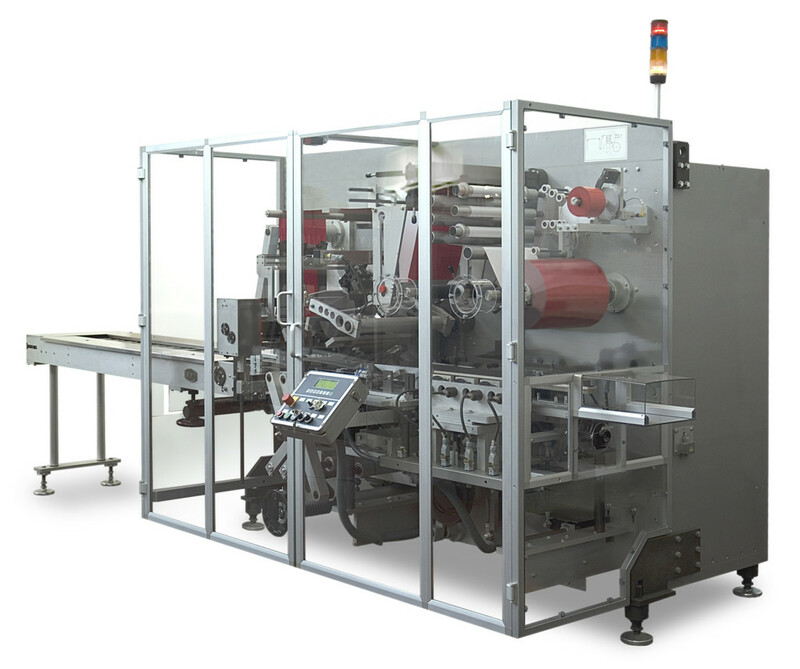 Horizontal, intermittent motion wrapping machine model KG, suitable for packing stacked or flat biscuits with “X” closure style by heat-shrinkable material. 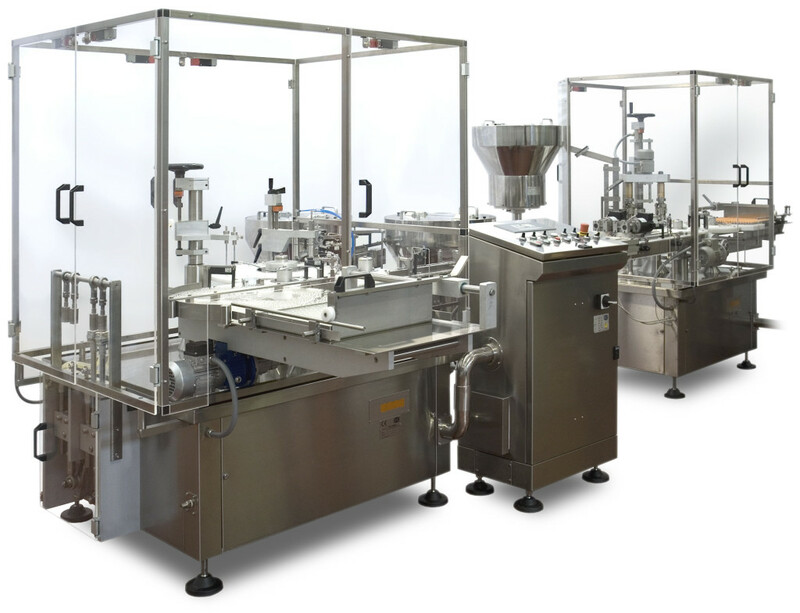 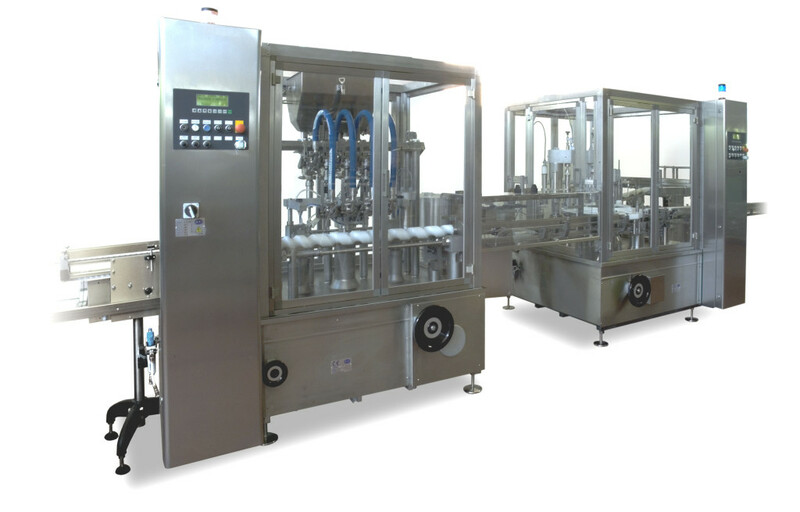 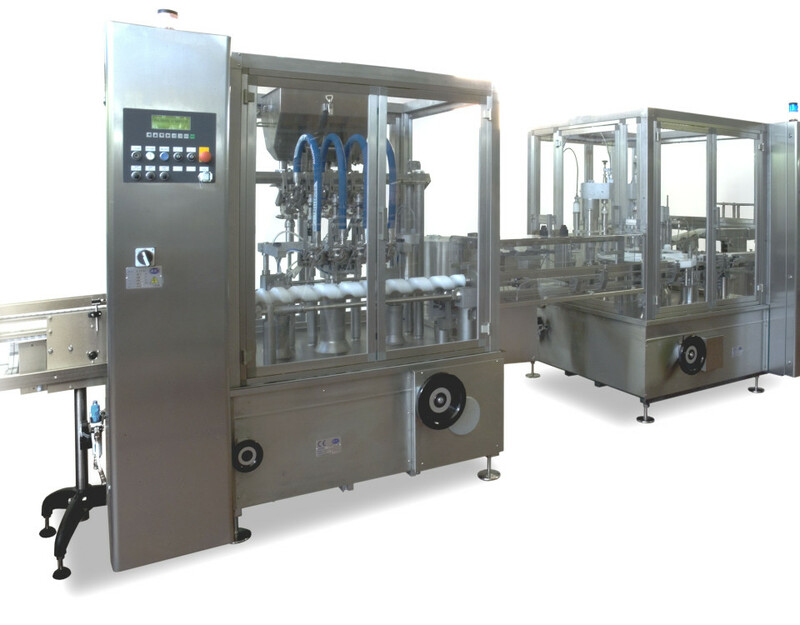 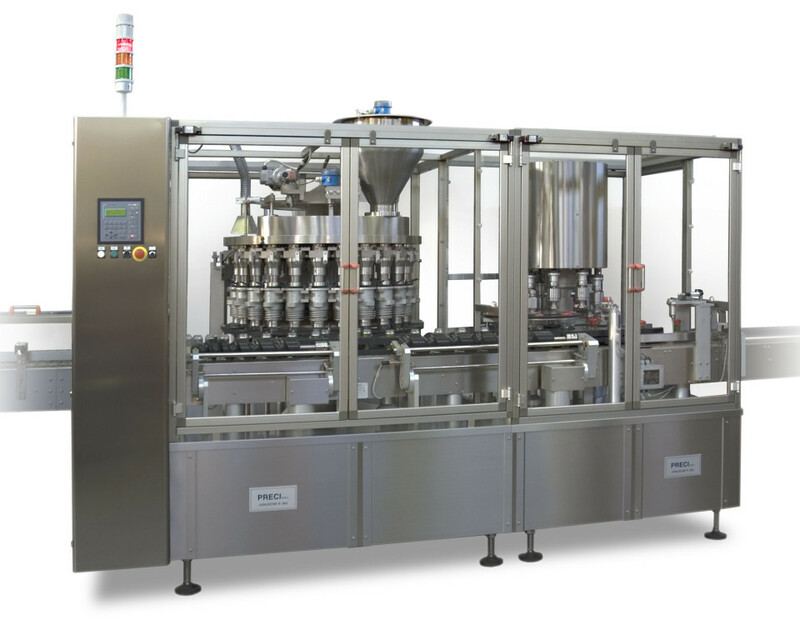 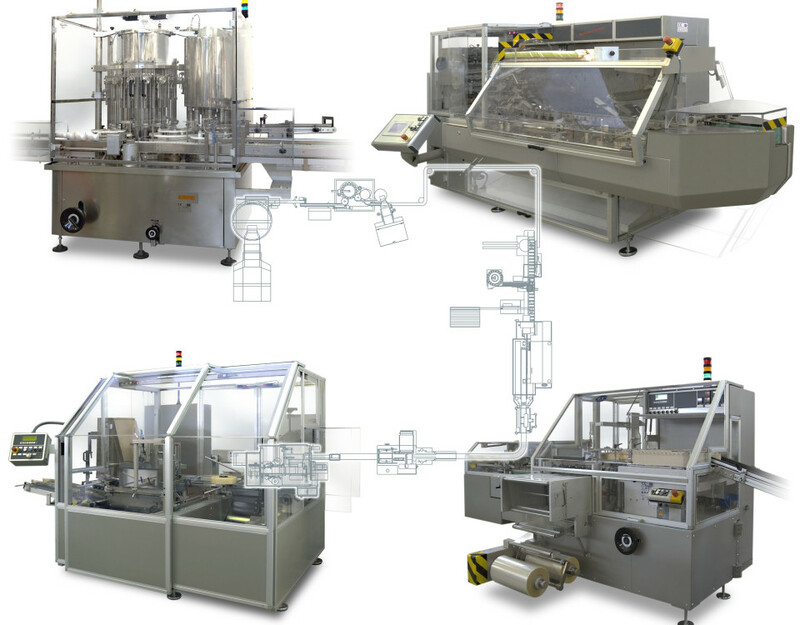 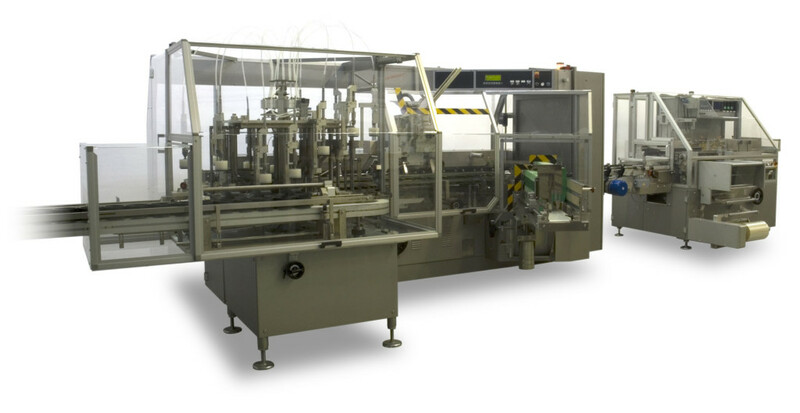 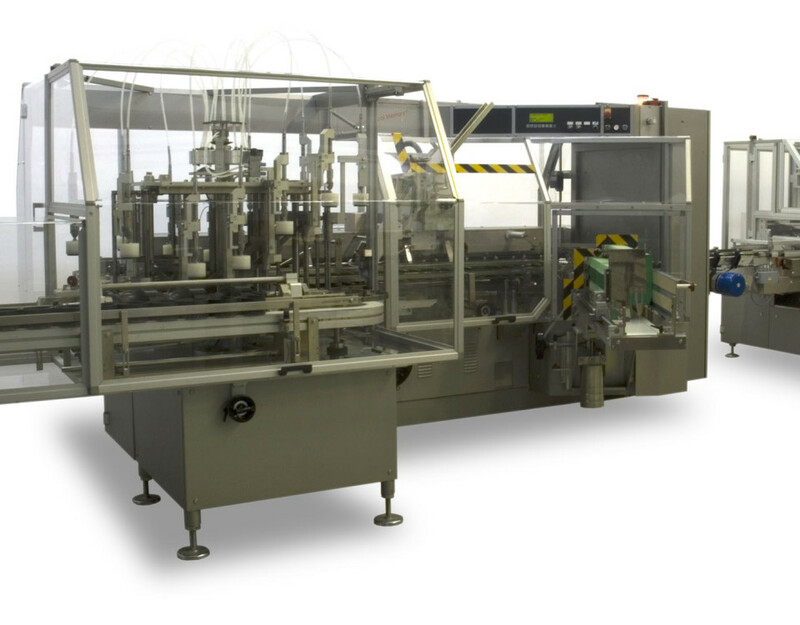 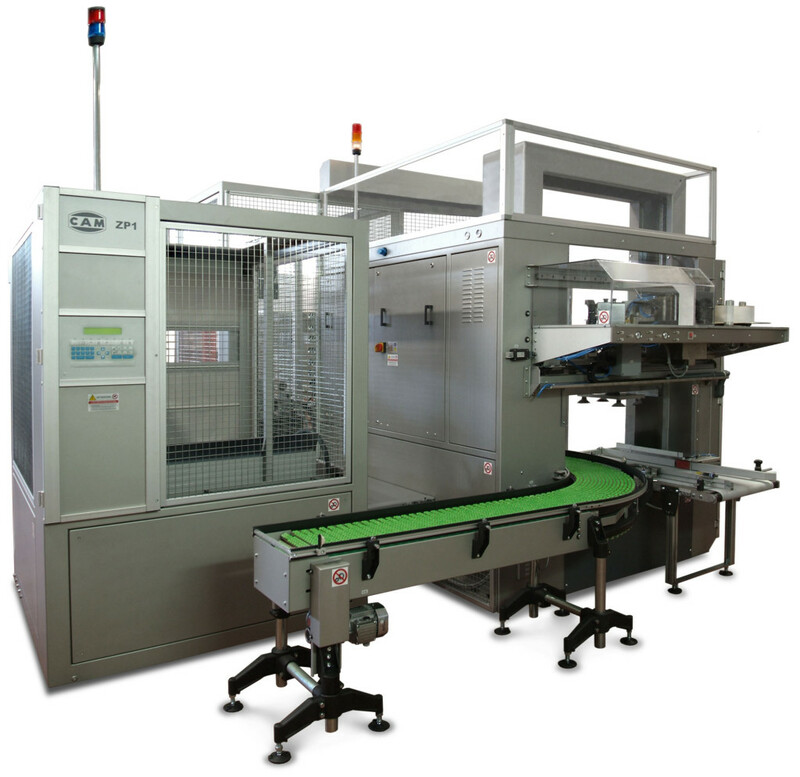 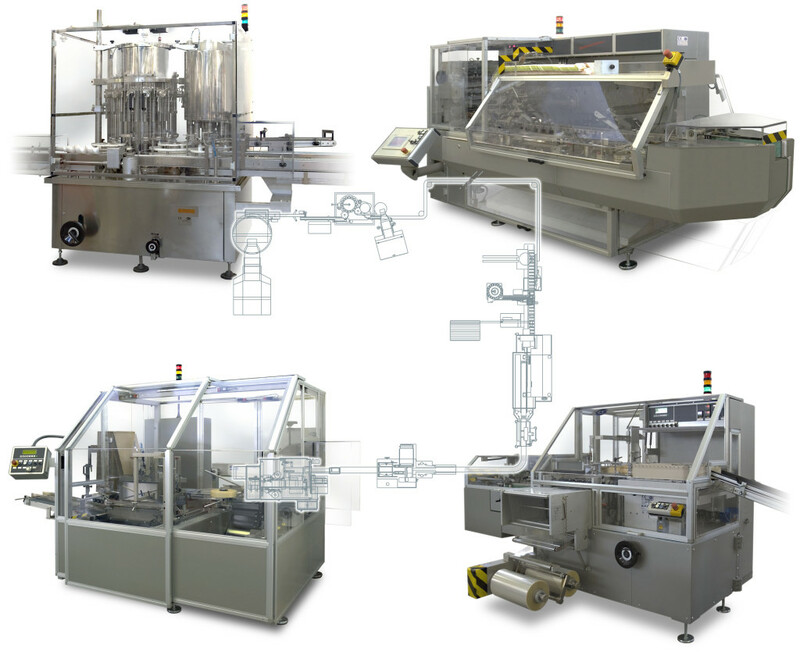 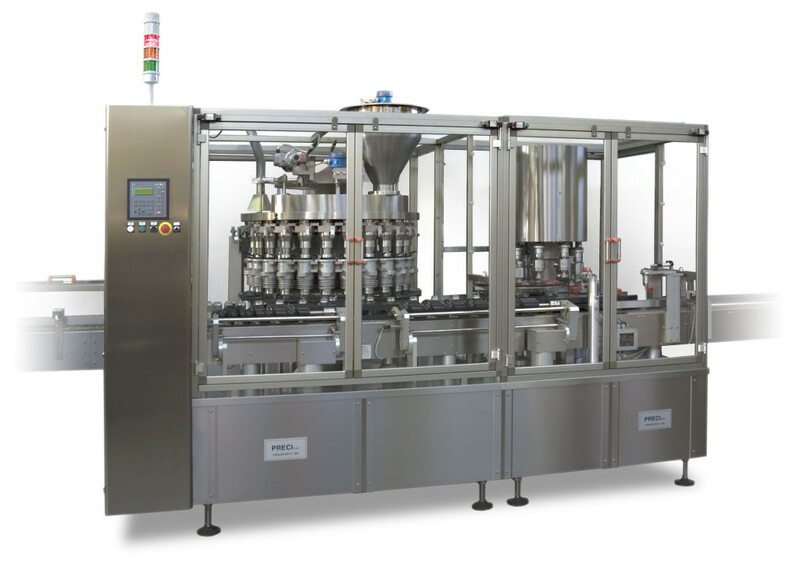 NTW 300 ML is a “wrap-around style” case-packer to handle small bottles or vials or jars coming from an high speed line up to an in-put of 100 products per minute, for an out-put of 25 cases per minute. 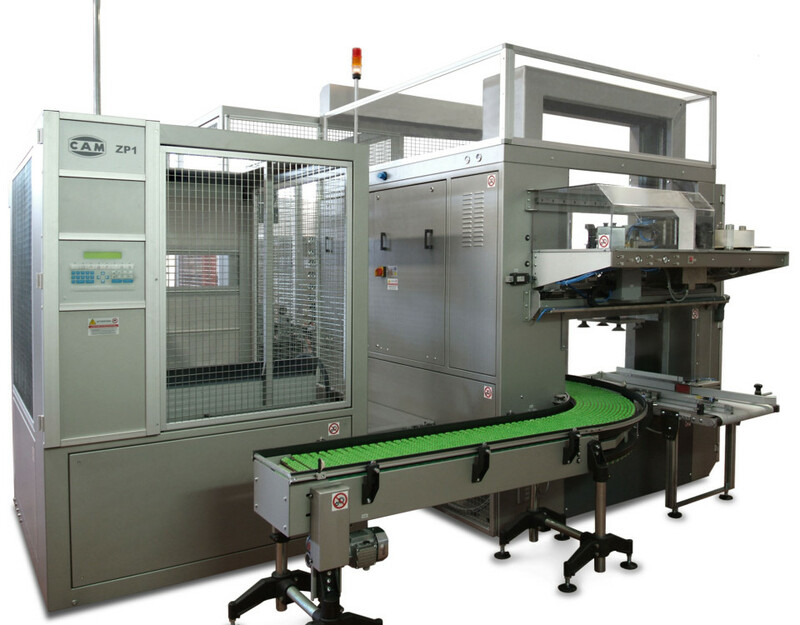 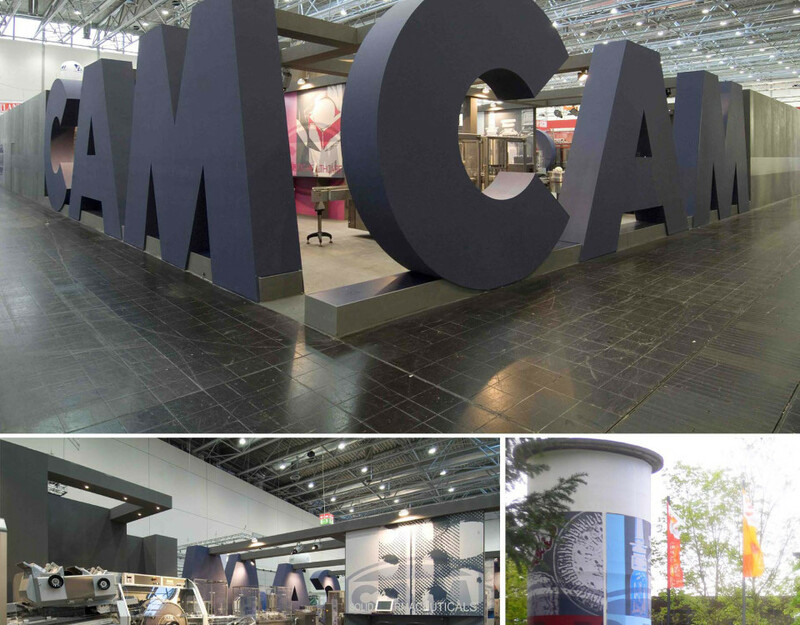 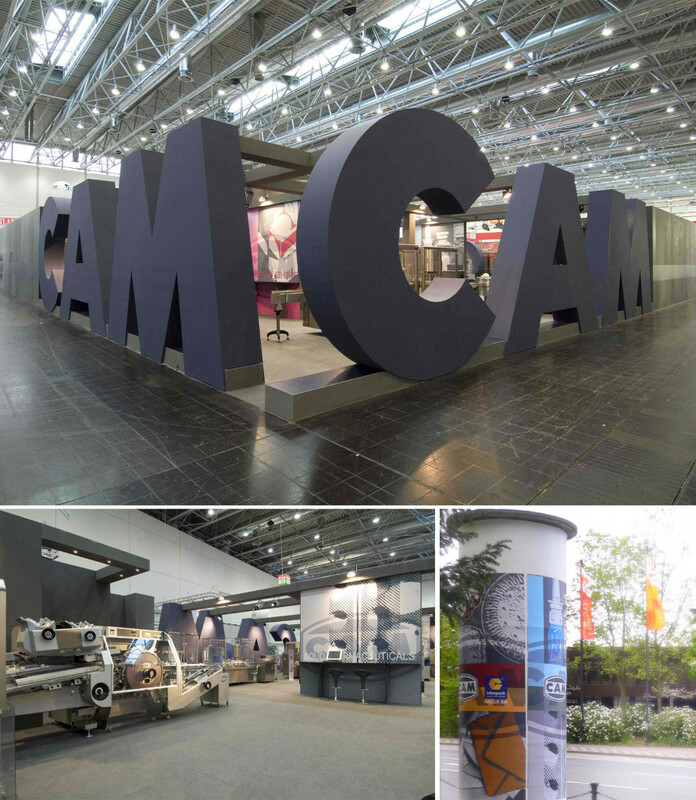 CAM has recently supplied an end-of-line equipment composed of a casepacker and palletizer, installed downstream to the existing blister packer handling Rennie tablets.